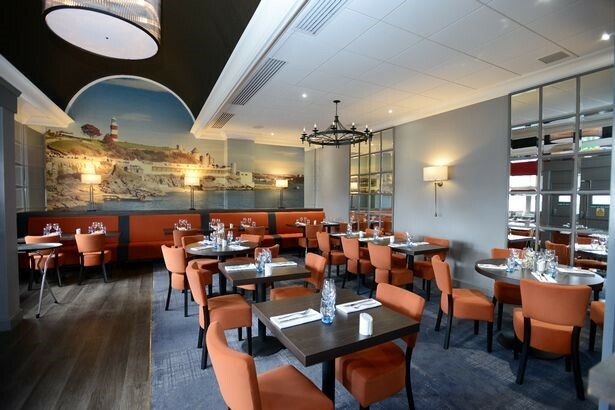 Plymouth’s prominent Copthorne Hotel has spent £300,000 on creating a new public restaurant as it seeks to take on Marco Pierre White’s eatery at rival the Crowne Plaza. The North Cross hotel has created 50 Degrees North Brasserie and Bar, a restaurant bosses say will match anything in the city. The idea is to attract diners who are not just hotel guests. The new restaurant will be branded separately to the hotel and strive to become a significant player in the city’s dining scene in a similar way to how celebrity chef Marco Pierre White’s Steakhouse Bar and Grill is seen as distinct from the hotel which houses it. “We don’t want it to be known as a hotel restaurant,” said Trevor Vels, general manager at the Copthorne. “It’s a brasserie and bar for the people of Plymouth. Work began in November 2017 to upgrade the hotel’s public areas including the bar, restaurant and reception area. With the so-called “casual dining crunch” hitting mid-market chain restaurants Mr Carder has been asked to come up with a menu that covers anything from omelettes and pizza up to “high-level cuisine” that can be served “at any time of the day”. “It’s high-level cuisine but in a relaxed style,” said Mr Vels. “We are trying to offer something for everybody. Millennium Hotels and Resorts, the Copthorne’s parent firm, has been spending freely on upgrading the 31-year-old city centre hotel. The restaurant upgrade and rebrand is part of a £3million, four-year refurbishment programme at the hotel. Mr Vels said the refresh was necessary because the hotel had started to look tired and dated. Work began in 2016 with £800,000 spent on cleaning the outside, transforming it from a dirty dark grey to a creamy off-white colour. Be the first to comment on "New £300k restaurant opening in Plymouth"